View topic - SMS Power! devkitSMS Coding Competition 2016 - Forums - SMS Power! The same as every year SMS Power! Coding Competition, but if you enter before the last two weeks, your homebrew will be posted immediately to this forum, and your ROM will be immediately available for download (and fellow forum users will be free to test it, and comment/suggest or even help you going further, and you can improve your own creation...). Of course you can update your ROM whenever you want to, until the deadline comes. During the last two weeks instead, new entries will trigger a placeholder topic posted here with a 'masked' name in the title, and ROM won't be available until the deadline has passed, as usual. These entries will be updated then, and the voting phase for ALL the entries will start. Note: this is a devkitSMS-only coding competition, and to enter you should write something that runs on a Master System, Game Gear or SG-1000 using devkitSMS tools and appropriate libraries (SMSlib or SGlib). This is a mod-less update for your Genesis/MegaDrive to enable you to enjoy many SMS games in full FM glory. Details about the product (including the list of the games which use FM music) are here. 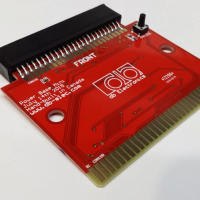 A Master EverDrive (or the EverDrive-GG, if you prefer). This is the well known solution for homebrewers for running ROMs on the real thing. Details about the product are here. Finally, the number of prizes will increase according to how many entries we'll have. Said that, I still suggest quality over quantity, of course. * Super-offensive or overly illegal content will get your entry rejected. Be nice. * Entries should be either made for this competition, or substantially different to any earlier release. * Coding entries must be in a format that works with a wide variety of emulators, i.e. raw ROM image or disk images. Tape images and wacky custom formats are no good. Please include your forum name and any description you'd like to include with your entry. Of course, including source is great. Is a (unofficial) port a valid entry ? Is a (unofficial) port a valid entry? @kanedafr: Welcome to SMSPower, Kanedafr! Of course, including source is great. I never tried the devkit yet, I'll see if I can find the time to install it and play with it. Especially if smps integration can be a thing. I'm sure my code would be much worse than yours. 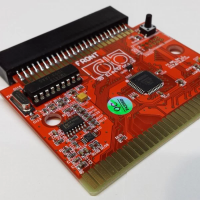 I think that these are probably too lousy for being worthy prizes, so I'm putting in instead two Power Base Mini instead (it's a Power Base Converter clone built by db-electronics, you can play Sega Master System games on your Genesis/Megadrive). I think this is worthy. I already have a working prototype of a game. So i'm in. It's buggy, it's unfinished, but it works. It has a title screen, a single endless level and a gameover screen. Hopefully two months are enough to squash some bugs and maybe even to finish the whole work... in any case if something doesn't work as expected, let me know as I'm here to help. Now i'm torn between posting what i have now or try my best to improve it in the next 2 weeks. There's so much to do, still. TWO WEEKS remaining. From now new entries will be listed with a 'censored' title and the ROM won't be accessible until the deadline comes. Do i send the updated files to you, or to the submission e-mail? ... time to enter this competition is running low, just a few hours left! will there be a voting of some sort? i'll try the games tonight on my sms1, and report back with reviews. We have 3 entries total. No last minute entries, unfortunately for us. sorry I didn't realize the votes where visible, now it should be fixed and the votes won't be visible until the end of the voting phase. We still didn't decide how long we will run this phase so I put a 100 days deadline in there, but that will surely last less. 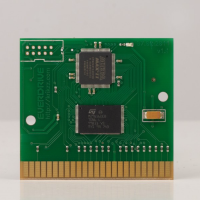 In order to ease our Sega 8-bit development, we would like to have the Master Everdrive. Now it's the silver medal winner's time to choose his prize. Then, please, let me know privately the shipping details. Thanks to sverx and db-electronics ! Please, let me know privately the shipping details. Sorry for disappearing, i've been busy a lot and without a broadband connection during this month. Things are just getting into place. I already replied your pm, sverx.